A1 performance ceilings has years of experience in building stud walls, curved walls straight walls, walls with angles in it you name it! A1 Performance Ceilings has the solution you need do you just need a room built in your house we can do that along with the doors and door hardware, tailored to your liking. 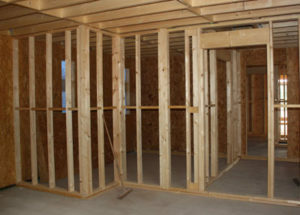 In the case of commercial stud walls, we also can meet any of these needs with projects. Just a couple of the jobs we have completed without any issues are Grill'd restaurant and Groove Train restaurant in the Rockingham city shopping centre restaurant district. These two example jobs went on without any issue, to the time allowed and to the original quotes and to the same A1 Performance Ceilings high quality! So if you need a small office fit out or a single partition, this will be absolutely no problem at all and we can definitely help you. Feel free to call us for an obligation free quote.